© 2015 City of Racine. This website is published and maintained by City of Racine. Unless otherwise indicated, all text and other information on this website are the intellectual property of City of Racine. All site design, text, graphics, interfaces, and selection and arrangements thereof are copyright City of Racine, Wisconsin. ALL RIGHTS RESERVED, except as otherwise noted. Permission is granted to download information from this site, so long as such information is not used for commercial, fraudulent, or defamatory purposes. Adobe, the Adobe logo, Acrobat, and the Acrobat logo are trademarks of Adobe Systems Incorporated. iTunes and iPod are trademarks of Apple Inc. All other trademarks and registered trademarks are property of their respective holders. PLEASE READ THE FOLLOWING TERMS AND CONDITIONS OF USE AND DISCLAIMER CAREFULLY BEFORE USING THIS WEBSITE (THE “SITE”). BY USING THIS SITE, YOU AGREE TO THESE TERMS AND CONDITIONS. IF YOU DO NOT UNDERSTAND AND AGREE TO THESE, RACINE (THE “CITY”) RESERVES THE RIGHT, AT ANY TIME, TO MODIFY, ALTER, OR UPDATE THESE TERMS AND CONDITIONS, AND YOU AGREE TO BE BOUND BY SUCH MODIFICATIONS, ALTERATIONS, OR UPDATES. The Mission of the City of Racine website is to engage all audiences in the greater Racine community with content-rich, innovative, easily-navigated, aesthetically pleasing pages; to provide e-government services, serve as a community focal point, and embody the City’s values and image. The City’s site is a nonpublic forum created by the City for purposes of providing information to the public regarding City Official actions, laws and services. The City has not allowed any outside entity to use, publish upon or edit the site. Changes are made periodically to many city documents, including municipal codes, charter sections, regulations, guidelines, and schedules, and these changes may or may not be reflected in the materials of information present on the city of Racine’s site. In the event of a difference between the information on this site and official information available at city offices, the official information should prevail. Additionally, because the site is frequently under development, materials and information may be deleted, modified or moved to a different part of the site without advance notice. Links from the City of Racine’s site to other websites on the internet do not constitute an endorsement of the City of Racine. When users select a link to an outside website, they are leaving the City of Racine site and are subject to the privacy and security policies of the owners/sponsors of the external linked-to website. The City of Racine is not responsible for the content, quality, or accuracy of any off-site materials referenced or linked through the City of Racine’s site. By using the City of Racine’s site, the user acknowledges and accepts that the City of Racine is not responsible for any materials stored on other internet sites, nor is liable for any inaccurate, defamatory, offensive, or illegal materials found on other internet sites, and that the risk of injury from viewing, hearing, downloading, or storing such materials rests entirely with the user. The City of Racine does not exercise any editorial control over the information you may find at these locations, and disclaims any and all liability for and knowledge of their contents. The City of Racine does not endorse or recommend any third party website, product or services, unless otherwise noted. Advance permission to link to the City’s site is not necessary. The party linking to the City of Racine’s site, however, should be aware that the City’s site may change at any time without notice. Entities and individuals linking to the City of Racine’s site shall not capture pages within frames we won’t be using frames, present the City’s site content as its own, or otherwise misrepresent this site’s content or misinform users about the origin or ownership of its content. Any link to the City’s site should be a full forward link that passes the user’s browser to the City’s site unencumbered. The web browser’s “back” button should return the visitor to the originating site if the visitor wishes to back out of the site. The City of Racine permits the establishment of links to external websites on the City’s official site solely in conformance with the purpose of the site and this policy. The City imposes reasonable restrictions on the establishment of links to external websites and will not provide links to websites: containing corporate or commercial logos unless otherwise noted below; associated with or sponsored by or serving a candidate for elective office or a lobbying group; of home pages of individuals; promoting hate or exhibiting hate, bias, discrimination on any basis, obscenity or otherwise defamatory content. Entities and organizations wishing to establish external links on the City's official site must submit a written request (email is acceptable) to the Information Services department which shall contain all information necessary to verify the facts stated and as may be necessary to establish that the proposed link is in compliance with this policy. The City of Racine reserves the right to 1) deny an external link application as to any person, business or organization when it is determined, following review of a request, that the entity or organization for which application is made does not meet the criteria set forth in this policy; 2) deny an external link application as to any person, business or organization which fails to provide all required information, or fails to provide truthful information; 3) remove any external link if the nature of the organization or business to which the link relates no longer complies with the City's external link policy; or 4) to revise this policy without prior notice when to do so is deemed to be in the best interests of the City; or 5) remove any external link without prior notice. The City of Racine is highly sensitive to the privacy interests of its citizens and believes that the protection of those interests is one of its most important responsibilities. In acknowledgment of its obligations, the City will not request any more information than is necessary to provide the highest level of service. Customer-specific data such as mailing/home address, phone number, and email address provided to the City via the website for the purpose of receiving City services will only be used to provide the requested service and not for other purposes. During the course of an encrypted credit card transaction, the information is stored on a secured server. The City uses firewalls and other security technology to prevent our computers from being accessed by unauthorized persons. To perform this service, the City must, of course, pass encrypted information about the transaction between yours and City’s financial institution. The City will not share this information with any other third party. Communications made through the City of Racine's site shall in no way be deemed to constitute legal or official notice to the City of Racine, its agencies, officers, employees, representatives, or agents with respect to any existing, pending, or future claim or cause of action against the City of Racine or any of its agencies, officers, employees, representatives, or agents where notice is required by federal, state, or local law. No communication to the City of Racine made through this site shall be deemed to constitute legal or official notice for any purpose. Materials and information on the City of Racine's site are provided as a public service and intended to afford general guidelines on matters of public interest. Accordingly, the information in this site is not intended to serve as legal, accounting or tax advice. Except for external website materials, the materials and information on this site were generated, compiled, or assembled at public expense and are freely available for non-commercial, non-profit making use, provided the user keeps intact all associated copyright, trademark, and other proprietary notices. Use this website for any purposes related to marketing. THE CITY OF RACINE SHALL NOT BE HELD LIABLE FOR ANY IMPROPER OR INCORRECT USE OF THE MATERIALS OR INFORMATION CONTAINED ON THIS SITE AND ASSUMES NO RESPONSIBILITY FOR ANY USER'S USE OF THEM. IN NO EVENT SHALL THE CITY OF RACINE BE LIABLE FOR ANY DAMAGES, WHETHER DIRECT, INDIRECT, INCIDENTAL, SPECIAL, EXEMPLARY OR CONSEQUENTIAL (INCLUDING, BUT NOT LIMITED TO, BUSINESS INTERRUPTION OR LOSS OF USE, DATA, OR PROFITS) REGARDLESS OF CAUSE, AND ON ANY THEORY OF LIABILITY, WHETHER IN CONTRACT, STRICT LIABILITY, OR TORT (INCLUDING NEGLIGENCE OR OTHERWISE) ARISING IN ANY WAY OUT OF THE USE OF THIS SITE OR THE MATERIALS AND INFORMATION CONTAINED ON THIS SITE, EVEN IF ADVISED OF THE POSSIBILITY OF SUCH DAMAGE. THIS DISCLAIMER OF LIABILITY APPLIES TO ANY DAMAGES OR INJURY, INCLUDING BUT NOT LIMITED TO THOSE CAUSED BY ANY FAILURE OF PERFORMANCE, ERROR, OMISSION, INTERRUPTION, DELETION, DEFECT, DELAY, COMPUTER VIRUS, COMMUNICATION LINE FAILURE, THEFT, OR DESTRUCTION OF DATA, WHETHER FOR BREACH OF CONTRACT, TORTUOUS BEHAVIOR, NEGLIGENCE, OR UNDER ANY OTHER CAUSE OF ACTION. THE MATERIALS IN THIS SITE ARE PROVIDED "AS IS" AND WITHOUT WARRANTIES OF ANY KIND EXPRESS OR IMPLIED. TO THE FULLEST EXTENT PERMISSIBLE TO APPLICABLE LAW, THE CITY OF RACINE DISCLAIMS ALL WARRANTIES, EXPRESSED OR IMPLIED, INCLUDING BUT NOT LIMITED TO, IMPLIED WARRANTIES OF MERCHANTABILITY, FITNESS FOR A PARTICULAR PURPOSE AND TITLE TO ANY OF THE MATERIALS PROVIDED ON THIS SITE. 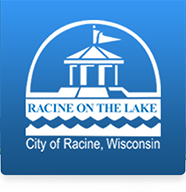 CITY OF RACINE DOES NOT WARRANT THAT THE FUNCTIONS CONTAINED IN THE MATERIALS WILL BE UNINTERRUPTED OR ERROR-FREE, THAT DEFECTS WILL BE CORRECTED, OR THAT THIS SITE OR THE SERVER THAT MAKES IT FREE OF VIRUSES OR OTHER HARMFUL COMPONENTS. THE CITY OF RACINE DOES NOT WARRANT OR MAKE ANY REPRESENTATIONS REGARDING THE USE OR THE RESULTS OF THE USE OF THE MATERIALS IN THIS SITE, OR THROUGH LINKS TO OTHER SITES, IN TERMS OF THEIR CORRECTNESS, ACCURACY, RELIABILITY OR OTHERWISE. USER (AND NOT THE CITY OF RACINE) ASSUMES THE ENTIRE COST OF ALL NECESSARY SERVICING, REPAIR, OR CORRECTION. To the extent permitted by applicable law, by using the City of Racine's site, the user agrees to defend, indemnify, and hold harmless, the City of Racine, its agencies, officers, employees, representatives, and agents from and against all claims and expenses, including attorneys' fees, arising out of the user's use of this site or materials and information contained on this site.